The Penn High School Art Gallery showcases work by Penn High School students, as well as art by members of the community. 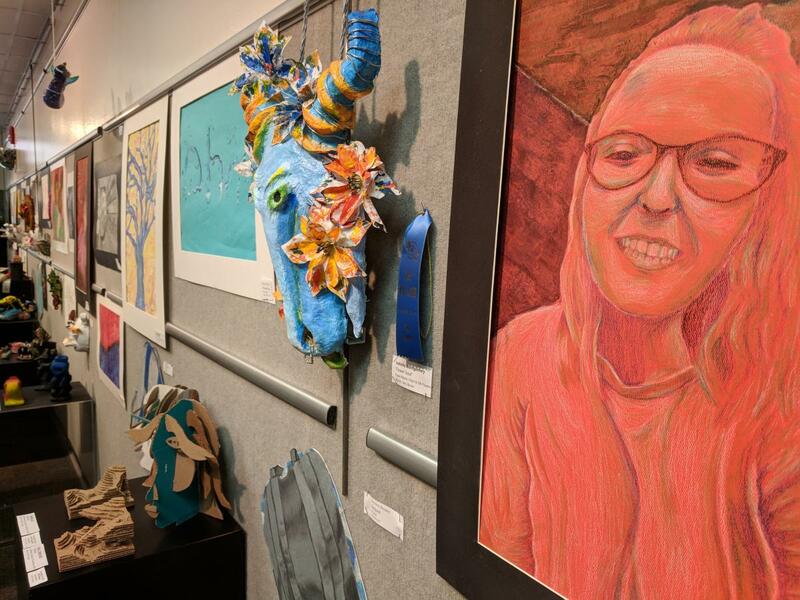 The current Spring 2018 Student Art Exhibit features P-H-M Scholastic Art Award winners, other Penn Art Award winners, P-H-M Art Teachers’ Choice Selections, Tri Kapp Art Awards and the People’s Choice Awards. Monday & Friday, 8:30 a.m. to 3:00 p.m.
Tuesday – Thursday, 8:30 – 4:30 p.m.
Senior Art Night, Fri., May 18, 7:00 – 9:00 p.m. Ten students are allowed in at a time without a teacher, but must have a pass during class times. Seniors may enter through the courtyard door during lunch hours. Guests are asked to please sign in and leave a comment in the comment box.